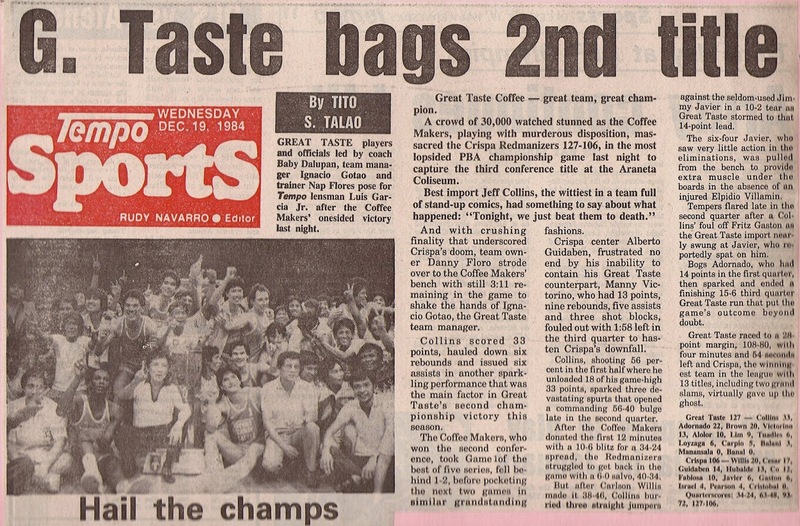 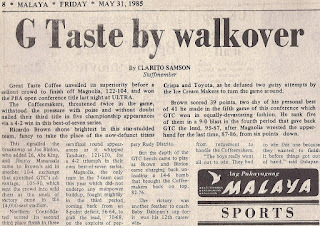 Great Taste wins their first-ever PBA crown in the 1984 second all-filipino conference, scoring a 3-0 sweep over Beer Hausen. 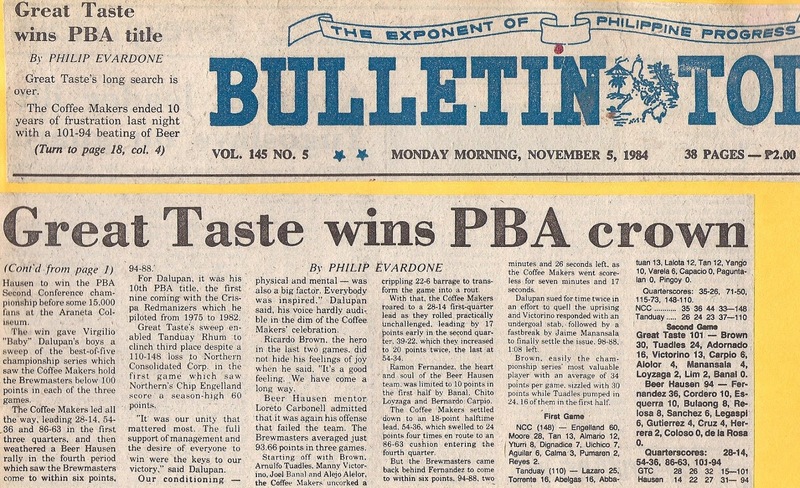 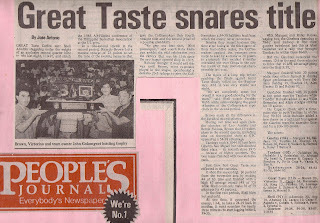 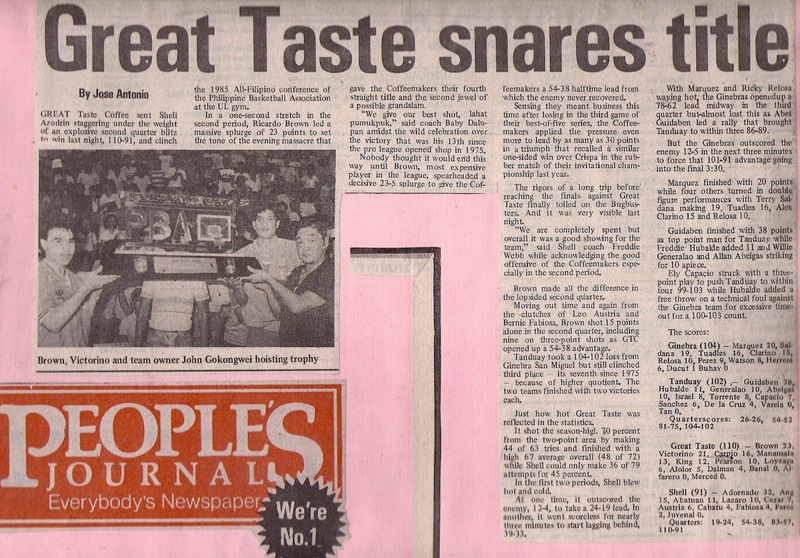 Great Taste wins the Invitational Championship, routing Crispa in the deciding fifth game on December 18, 1984. 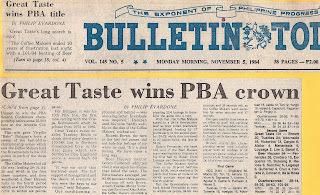 The following year in the 1985 PBA Open Conference, Great Taste beat Magnolia in six games to win their 3rd PBA crown. 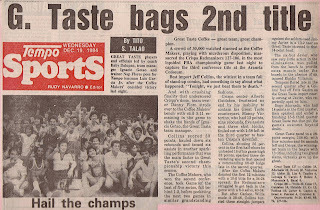 Great Taste wins its fourth straight PBA championship, winning their series against newcomer Shell Azodrin, 3 games to 1. 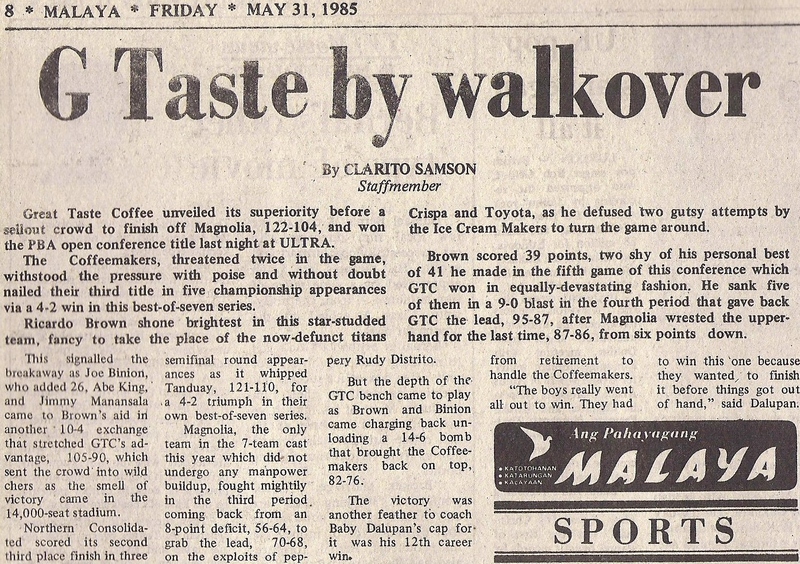 *Newspaper clippings courtesy of former GT player Ricardo Brown in his facebook album.